Waldkirch, April 20, 2016 – Now in its 70th year of doing business, the SICK Group is continuing its success story. The company, which was founded as a one-man operation by Dr. Erwin Sick in 1946, has grown steadily over the last seven decades to become one of the world's technology and market leaders for sensors for industrial applications. In the fiscal year 2015, the SICK Group had 7,417 employees and recorded sales of EUR 1,267.6 million. Earnings before interest and tax (EBIT) were EUR 129.1 million. The pioneering spirit of the company founder can still be felt in the SICK Group today. It has been a critical factor in the company's ability to continue to set standards in sensor technology by delivering innovative solutions during the past fiscal year. Reflecting this trend, sales increased by 15.3 percent to EUR 1,267.6 million and orders received rose by 13.2 percent to EUR 1,270.5 million. After a rather cautious start, both sales and orders received picked up speed during the course of the year. “As in the previous year, SICK saw growth in all regions of the world in 2015. 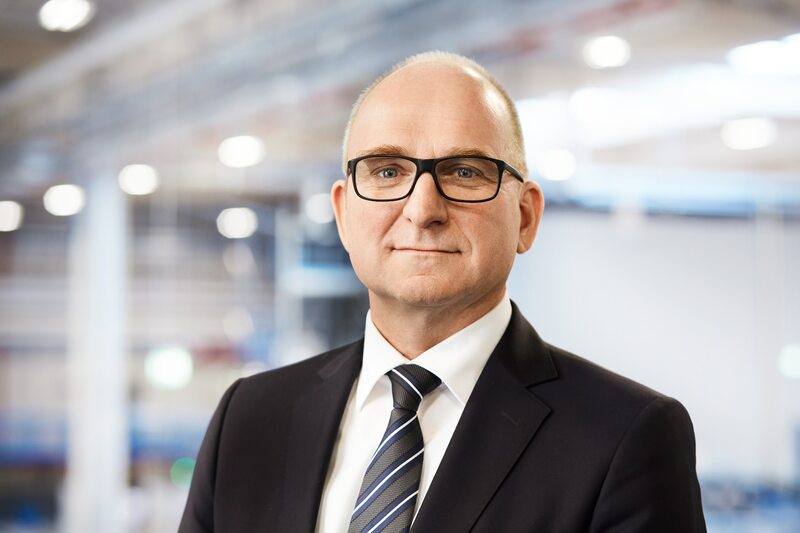 Of particular note, however, is the increase in sales in the Americas and in the Asia-Pacific regions, where a gain of more than 20 percent was recorded in each case,” explained CFO Markus Vatter when the balance sheet ratios were published. In both regions, demand from customers in logistics and process automation in particular was high. Currency effects also had a positive impact on sales growth: “In total, just under six percent of all growth was attributable to the devaluation of the euro, in particular against the US dollar and the Chinese renminbi,” Vatter went on. The strong growth in sales is reflected in earnings before interest and tax (EBIT). EBIT was EUR 129.1 million, up 25.1 percent; its growth was stronger than that recorded for sales. Although currency effects had a noticeable impact here too, there was also a clear improvement in the use of materials in production. The EBIT margin as a percentage of sales was thus in double digits, recorded at 10.2 percent (prior year: 9.4 percent). After deducting the tax burden, the consolidated net income for the year stands at EUR 90.8 million – due in part to the favorable development of the interest rates. This constitutes a rise of 30.1 percent on 2014. The net return on sales increased to 7.2 percent (prior year: 6.3 percent). There is an inextricable link between the development of innovative sensor solutions and investment in employee skills. So, in the fiscal year, SICK increased its global workforce to 7,417 (up 6.6 percent on 2014). Almost 60 percent of employees work in Germany, where the number of employees has gone up by 5.8 percent. Growth in employee numbers in other countries was slightly higher, at 7.8 percent. There was also a huge increase in the cost of basic and advanced training. At EUR 9.3 million, this figure was up 16.3 percent on the previous year. 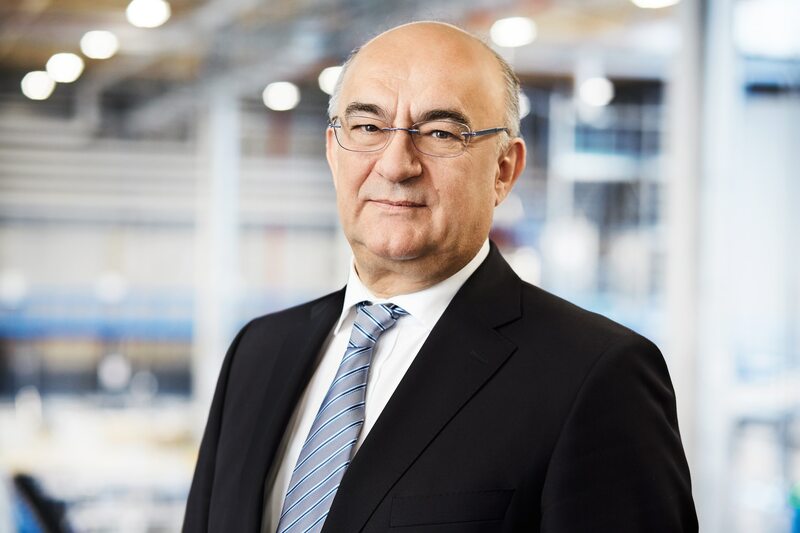 Furthermore, in this anniversary year, employees will get to share in the success story of the company, which has been played out over seven decades, in a very special way. A special bonus will be paid in 2016 based on duration of employment with the company. 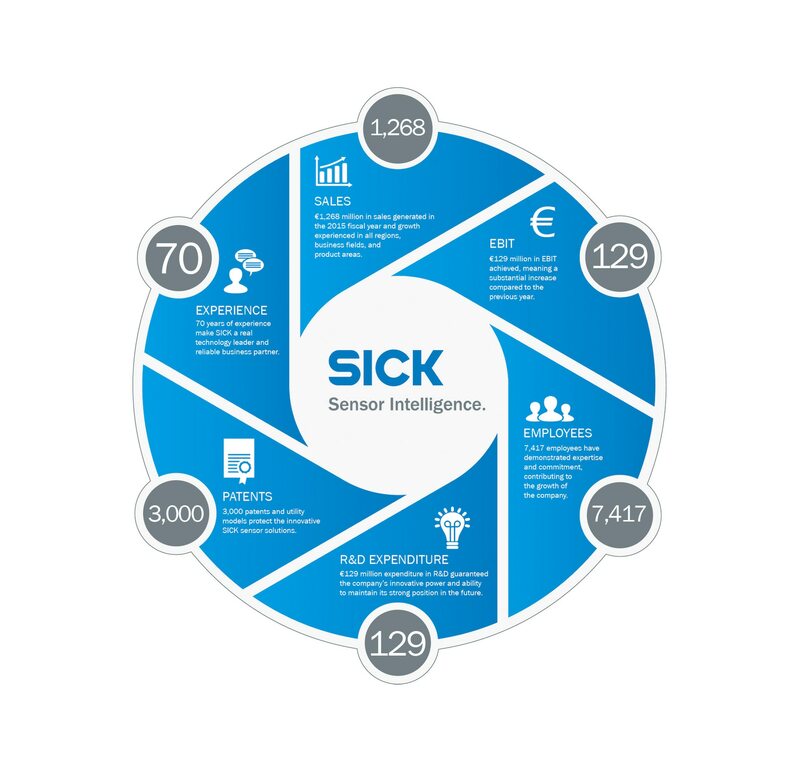 Proof of SICK's strong ability to innovate is provided by its intensive R&D activities, which is reflected in a further increase in R&D expenses: in the past fiscal year, EUR 129.0 million was spent on R&D. This is an increase of 11.0 percent compared to the previous year. The share of R&D expenses as a percentage of sales thus equates to 10.2 percent of sales (prior year: 10.6 percent). In the fiscal year 2015, an average of 864 employees (5.8 percent more than in the previous year) worked on new technologies and new products. Development capacities were expanded in foreign R&D locations in particular. Additional information about SICK is available on the Internet at http://www.sick.com or by phone on +49 7681 202-4183.